We all want to provide amazing service for our customers. We also know we don’t always do it. 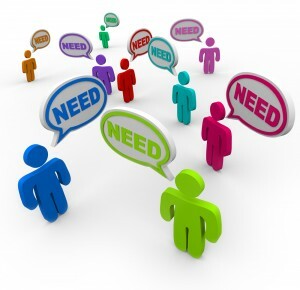 A customer focus starts with knowing about customer needs. We need to build our skills mightily in this area. And, we need to go beyond what customers expect. They tend to expect “adequate” service. They expect we will understand them and deliver value beyond mere service. Morantz points out that customers need to feel they are the center of your attention. When customers are spending money they believe they are providing value. They want to know that you recognize their value and expect you to act accordingly. The slightest sign you are ignoring them and they will lose faith quickly. Don’t make them chase you. Make them feel they are the most important transaction in your day. Ask yourself “How can I let this buyer know I am focused on them in a welcoming (not intimidating) way?” Morantz suggests you look them in the eye and tell them they have 100 percent of your attention. via The 4 Key Customer Needs That Must Be Addressed | Inc.com.